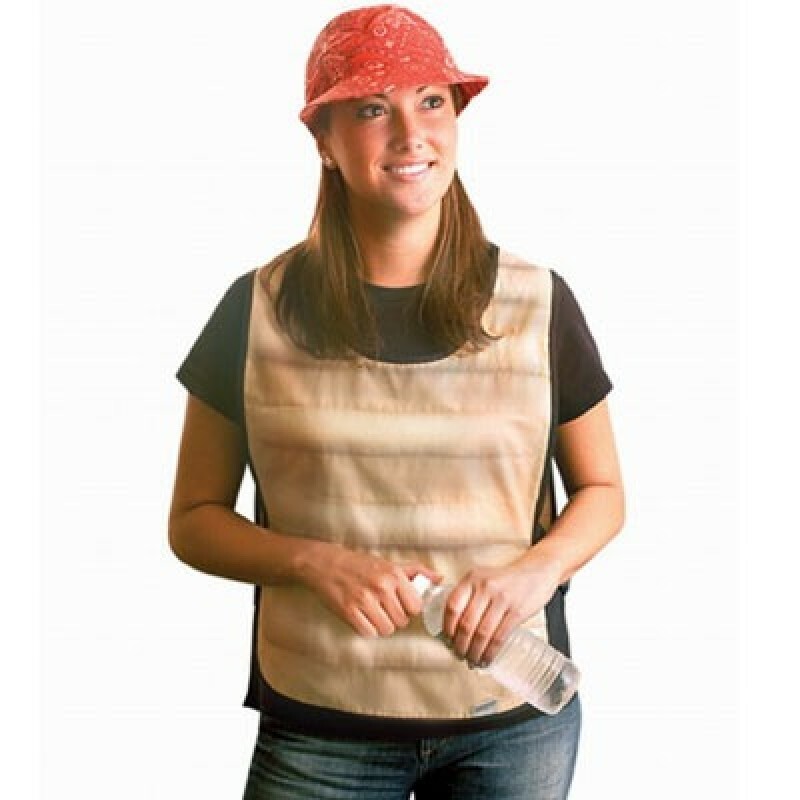 Smaller economical version of the MiraCool Cooling vest. MiraCool crystals retain the coolness of cool water and work over lightweight shirt to continuously release cooling sensations which are carried throughout the body. 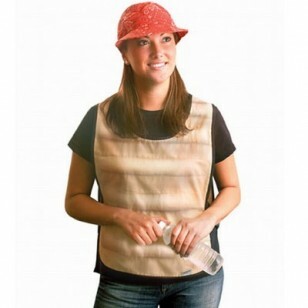 Completely reversible, if cooling sensations diminish, renew and refresh coolness by turning vest inside out. Adjustable side straps. 100% cotton. One size fits man's jacket size up to 46.